Carme Pinós set up her own studio in 1991 after winning international recognition for her work with Enric Miralles. Since then, she has worked on numerous projects ranging from urban refurbishments and public works to furniture design. Her sharp approach to design, anchored by a constant focus on experimentation and research, has garnered worldwide recognition alongside Barcelonian architecture's. 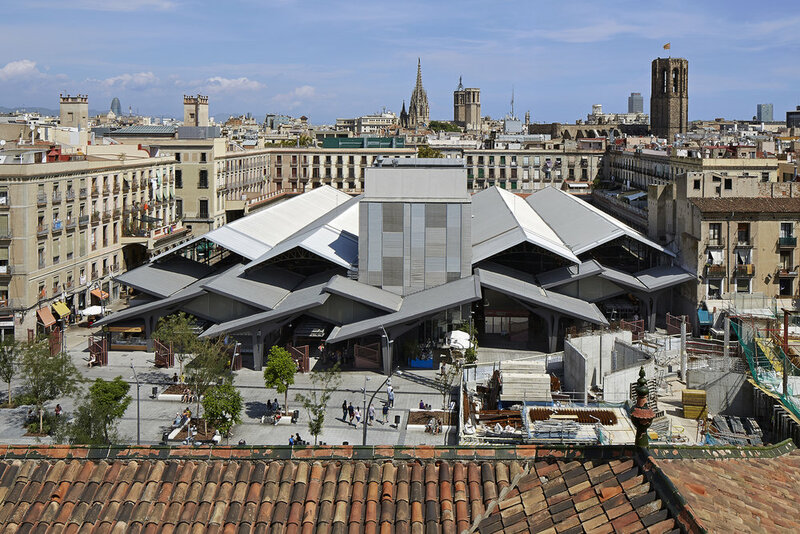 Her projects include the Regional Office of the Generalitat in Tortosa (Spain); the architectural set composed by Gardunya Square, Massana School of Arts, a housing block and the west façade of the popular La Boqueria Market in the Historical District of Barcelona (Spain); and the Masterplan for the historic centre of Saint Dizier (France), complete with various interventions in public spaces. Among her most significant completed recent projects are the Departments Building of the Vienna University of Economics and Business (Austria), the Cube II Towers in Guadalajara (Mexico), the Caixaforum Cultural and Exhibition Centre in Zaragoza (Spain), metro station Zona Universitaria in Barcelona and the Crematorium in the Igualada Cemetery (Spain). Carme Pinós combines work as an architect with teaching, and is actively involved her in the development and delivery of seminars, courses and workshops worldwide. She has been guest professor at several higher education institutions, including the IUAV of Venice, Paris School of Architecture, the University of Illinois at Urbana-Champaign, the Kunstakademie in Düsseldorf, Columbia University in New York, l’Ecole Polytechnique Fédérale de Lausanne, the Harvard Graduate School of Design, Accademia di Archittetura di Mendrisio in Switzerland, Universitá di Roma Tre in Italy, among others. In 2016 she was awarded the Richard J. Neutra Medal for Professional Excellence by the California State Polytechnic University in Pomona, in recognition of her career. She received the 2016 Berkeley-Rupp Architecture Professorship and Prize valuing her contribution to promoting the advancement of women in the field of architecture and her commitment to community. In 2015 she was honoured with the Creu de Sant Jordi Medal, one of the highest civil distinctions awarded by the Catalan Government to individuals and organisations for their cultural and social services. She received the First Prize at the 2008 Spanish Biennial of Architecture, the Catalan National Award for Public Architecture in 2008, and the National Architecture Award by the High Council of Spanish Architects. Her work has been widely exhibited in several galleries, museums and universities. The Centre Pompidou acquired the scale models of the Caixaforum Zaragoza in Spain, the Hotel Pizota in Mexico, and the Maison de l’Algérie of Paris, while MoMA has acquired the Cube I Tower model.